Nurses are smart, compassionate individuals with excellent training and creative ideas. With that said, why aren’t there more Nurse Leaders on the board of their place of employment? We know boards are always looking at the bottom line, ways to save money, and grow their business. But think about it, some Nurse Leaders have extensive business experience in addition to their healthcare background. They bring a unique perspective because of their education and experience. They know what’s important to patients and also… what isn’t. A Nurse Leader has first-hand knowledge of where money is being wasted. With his/her input, the board will gain valuable insight and hopefully make decisions to improve quality patient care as well as achieve a healthier bottom line. Is there a Nurse Leader on your board? In the wake of the 2016 election and a changing context for healthcare decision-making, health systems that expand the scope of board dialogue will have a strategic advantage. Into what was already a rapidly if not chaotically changing healthcare marketplace, there may be major changes from a new presidential administration. There is no better time to get all the right players at the table. Care providers facing the many changes and uncertainties associated with healthcare during Donald Trump’s administration will need diverse board-level input and timely feedback from their core employee sector, nursing, and its insider’s perspective on the patient experience. We view this as an optimal time for health systems to add a nurse leader to their boards because the profession’s caregiving expertise and awareness of patient perspectives is needed for sound strategic decision-making. Drawing on our many years of work together as a former health system CEO and as a nurse executive board member, here’s our short list of ways a nurse with high-level business expertise can help a health system board strengthen profitability and patient outcomes. A nurse who has a strong business background and substantial healthcare experience can offer practical, useful input to improve a health system’s board governance. When Kathy first joined the Alegent board, she urged the board to balance its time equally between finance and quality outcomes, patient safety and quality care. That was a turning point in the organization’s governance. Prior to her input, board meetings had focused primarily on finance and reviewing financial results because that’s what board members most understood. The board needed to focus on the core business of quality care. As time went on, finance was relegated to a lesser part of board meetings because those reports could be sent in advance and continued to be management’s responsibility. Rick: Kathy first and foremost earned the respect and trust of the board as a very strong business leader and colleague with substantial healthcare experience. She could stand toe-to-toe with any board member on any topic. She also brought nursing experience and the unique dimension of clinical care, an array of experiences and perspectives our board didn’t have before. Kathy: Nurses understand what it is to deliver human services and generally find themselves in the role of patient advocate and touchpoint for all activities in a hospital. My perspective was broader because I was a senior vice president of a Fortune 500 healthcare company. In addition to my passion for the mission, my experience was corporate and profit-oriented. My focus was on making sure you deliver care as efficiently and cost-effectively for the best outcomes. 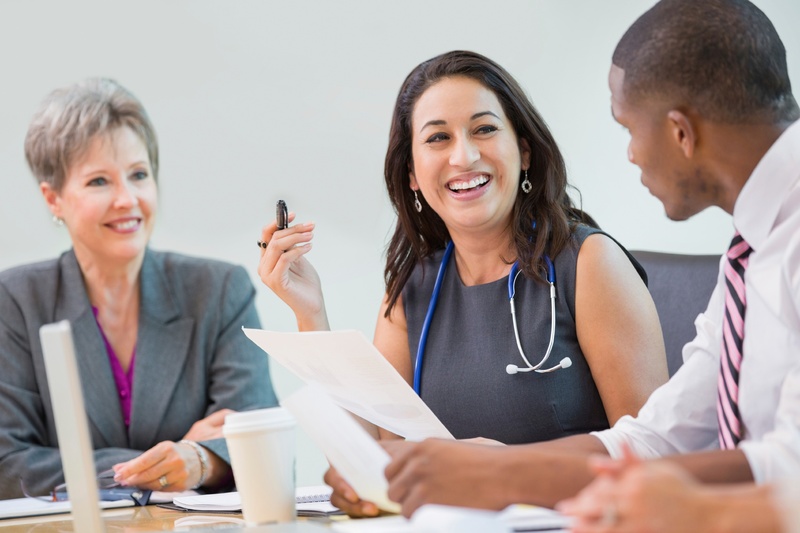 To improve quality outcomes, resource utilization and financial metrics, it’s critical that nursing leadership and front-line nurses, executives and board governance are all in partnership. Without that, change is simply not possible. Across the board, Alegent’s measures improved dramatically after it dedicated resources to improving outcomes for direct hands-on care of patients. This core business is affected directly by nursing across the enterprise. At Alegent, we could link a clear set of statistics and graphs for a variety of outcomes to the impact of Kathy’s input and expectations. Kathy: When I joined the board, we had no board committees working on quality. It was easy to make the case that the board ultimately has responsibility for quality outcomes. A lot of people think having better quality may cost more money. Actually, you get a return on investment if you deliver higher quality, and you can easily reduce your costs. Rick: We took Kathy’s recommendation to focus on quality patient care very seriously and found the resources to make this happen. We ended up with a strong team of quality experts, physicians, nurses and colleagues with analytical skills—some of whom we hired and some of whom we moved into leadership roles. We became national leaders in quality outcomes. Our company’s quality scores were on par with Johns Hopkins (Health System) and Cleveland Clinic and were ahead of the Mayo Clinic. A board without diverse perspectives risks overlooking uncomfortable yet important issues. Rick: Kathy could challenge management and the board in ways nobody else could because of her experience and knowledge. She pressed management on quality outcomes when they began to be published publicly. I will never forget the day we reported wonderful quality outcomes scores for our metropolitan hospitals. Our rural hospitals weren’t reporting the same scores. Kathy said,“Our company’s name is on those buildings too. Why aren’t we delivering the same care there?” There was dead silence. That type of feedback—pointing to conversations our board needed to have—was exactly what I needed as president and later CEO. Thanks to Kathy’s input, we put resources and focus on quality outcomes in our rural hospitals and brought them quickly into the top decile nationally with comparable care. Kathy: We achieved these quality improvements because our hospital administrative leadership team took on this challenge; they creatively led changes in our culture and processes, and committed resources to make it happen. The nursing profession has dedicated itself to empowering people with comparable stature and skills as other board members to share nursing’s valuable perspective on the front-line business. That’s why we joined the American Nurses Foundation’s effort to increase the number of nurses on boards, building on its impact as a founding member of the national Nurses on Boards Coalition. There is a ready cohort of nurse leaders with the governance and healthcare expertise to be excellent board members. All the board has to do is get them oriented to the organization. This next-generation cadre of nurse leaders is ready for an important task. Their input on behalf of the critical issues and the bigger picture will be essential to protecting and reinforcing the nation’s vital healthcare sector in the coming era. If you have any questions feel free to ask one of our Nurse Leaders who are always here to help!